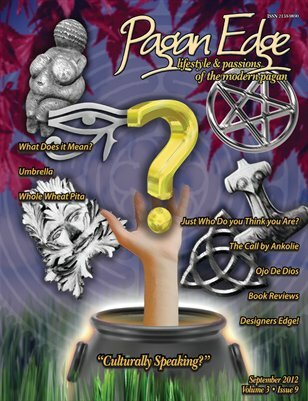 Vision Pagan Edge provides its readers high quality, timely content relevant to pagans’ lifestyle and personal passions that reach beyond first steps and help our audience sustain their interests. 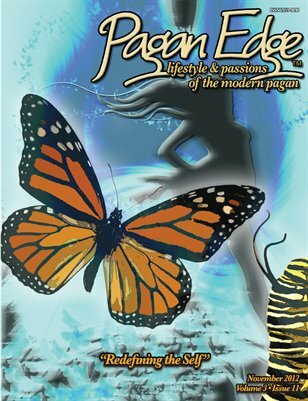 Lifestyle is the heart of Pagan Edge; we will help reinforce our communities shared values and diversity to ease the incorporation of the pagan experience into each day. Rituals, spell work, and craft “How-to” are central to the practice of many faiths and Pagan Edge will focus on inclusive actions not specific practices where ever possible. 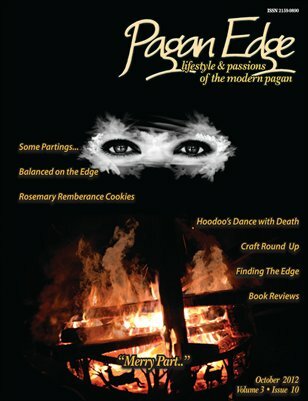 Pagan Edge : November 2012 "Redefining the Self"
Annual Samhain issues. This month we take a look at death and dieing, Samhain Crafts, and some cool items for the holiday. Pagan Edge : September 2012 "CULTURALLY SPEAKING?? 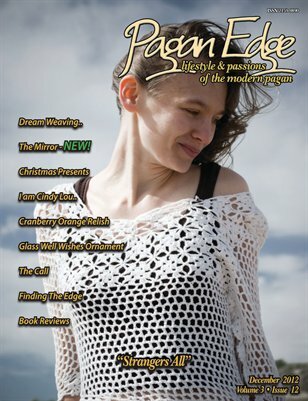 We look this month at what it means to identify culturally as a "Pagan" in Western Societies.